Windshield glass provides visibility for drivers and passengers and serves as an important structural component for your vehicle. 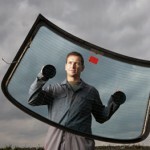 Modern advances in technology are expected to change the way windshield glass looks and performs in the near future. Your local Houston auto glass company can provide you with added information on the changes you can expect in windshield glass over the next few years. Here are a few of the innovations in the works for your auto glass installations. New heads-up display technologies are already being incorporated into high-end vehicles. These smart windshields can provide information on current speed, GPS location and mapping, traffic and weather and many other factors that could affect your daily commute. Best of all, these displays do not require drivers to take their eyes or their attention off the road to get the updates they need. This can increase focus and reduce the risk of accidents on Texas streets and highways. Most current windshield glass consists of two layers of tempered glass held together by a strong adhesive layer in the middle. This configuration is intended to prevent Houston auto glass from shattering and causing serious injuries to drivers and passengers if an accident should occur. 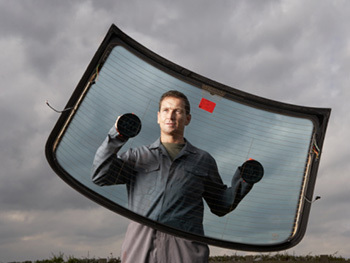 New glass formulations, however, may make windshields more difficult to break. This could reduce the need for Houston windshield repair and replacement services and could provide greater protection for occupants of the vehicle in the event of a crash. The same technologies used to create photosensitive glass for buildings and other applications can be applied to windshields and other auto glass, reducing the need for sun visors and sunglasses on the road. By responding automatically to bright light, these advanced windshields can reduce glare that can limit visibility during certain times of the day. Thermal windshields feature a thin layer of reflective material that can reduce interior heat during the summer and can help melt ice from glass in the winter months. This can protect leather upholstery from deterioration due to excess heat and can ensure the easiest preparation for your commute when the weather turns colder. The Houston windshield replacement team at Apple Glass can provide you with the most advanced solutions for cracks, chips and other imperfections in your auto glass. We offer in-house and mobile services that ensure optimal convenience for you. Give us a call today at 281-296-0600 in The Woodlands or 713-680-1400 in the Houston area to schedule an appointment with our expert glass technicians. We look forward to providing you with the latest and greatest in the auto glass field. This entry was posted in Windshield Technology and tagged Houston Auto Glass, Houston Windshield Repair, Houston Windshield Replacement. Bookmark the permalink.